The Air Tractor was designed by company founder Leyland Snow who earlier designed the Snow S-2 (built by Rockwell and Ayres). 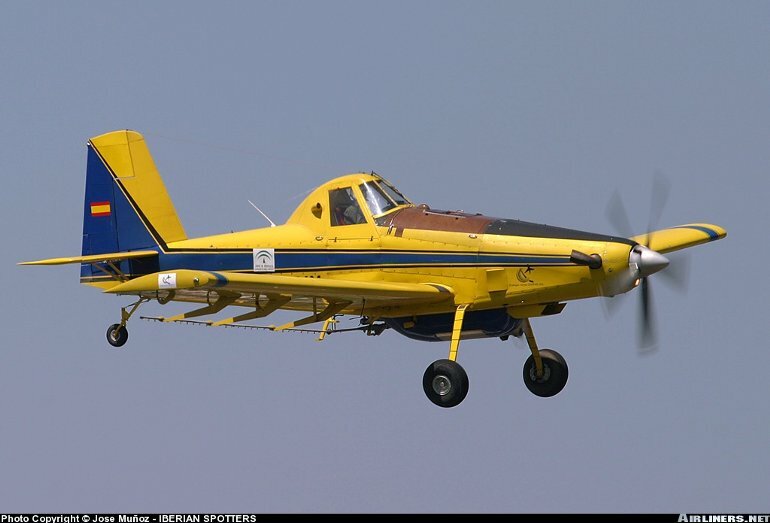 The initial Air Tractor model was the Pratt & Whitney R-1340 radial powered AT-301 which established the Air Tractor series' basic configuration. First flight was in 1973, and 600 were built. The PT6 turbine powered AT-302 introduced in 1977 was replaced by the AT-402. The R-1340 powered AT-401 introduced a greater span wing and increased chemical hopper capacity and first flew in 1986. The AT-402 is similar other than its 505kW (680shp) PT6A turboprop engine, the AT-402B has increased span wings. The AT-502A (first flight Feb 1992) is based in the 402B but has a far more powerful 820kW (1100shp) PT6A-45R turbine driving a slow turning five blade prop. Its excess power reserves allow high speed or high altitude operations. 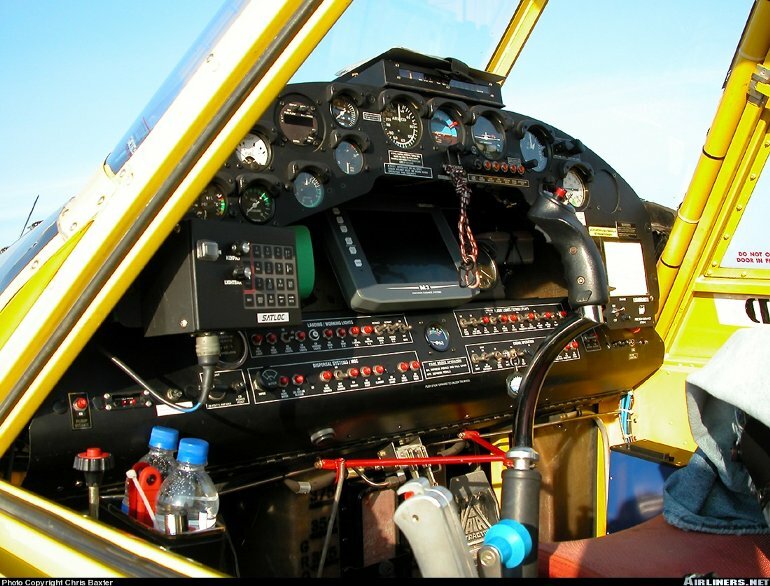 The AT-502B has Hoerner wingtips and optional equipment including GPS. The 5.4 tonne MTOW PT6 powered AT-602 first flew on December 1 1995 and became available for delivery in the second half of 1996. The larger and heavier two seat AT-802 and single seat AT-802A are the largest purpose designed single engine ag aircraft in production. 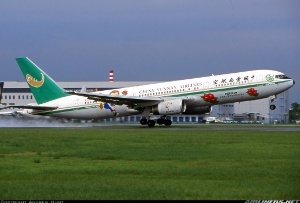 First flight was in October 1990. The AT-802F is a dedicated firefighting version. AT-301 - One 447kW (600hp) Pratt & Whitney R-1340 radial engine driving two blade Hamilton Standard or Pacific Propeller or three blade Pacific Propeller props. AT-502 - One 507kW (680shp) Pratt & Whitney Canada PT6A series turboprop, optionally a 560kW (750shp) PT6A, driving a three blade constant speed prop. AT-802 - One 1062kW (1424shp) PT6A-67R or 67AF driving a five blade constant speed Hartzell prop. AT-301 - Max speed 266km/h (144kt), econ cruising speed 225km/h (122kt). Initial rate of climb 1600ft/min. AT-502 - Max speed at sea level 290kmh (155kt), typical operating speeds 195 to 235km/h (105 to 125kt). Initial rate of climb 1080ft/min. AT-802 - Max speed 338km/h (182kt), max cruising speed 314km/h (170kt). Initial rate of climb 800ft/min. Range with max fuel 805km (434nm). AT-301 - Empty 1656kg (3650lb), loaded 3130kg (6900lb). AT-502 - Empty 1870kg (4123lb), max takeoff 4175kg (9200lb). AT-802 - Empty equipped 2860kg (6300lb), max takeoff 7260kg (16,000lb). AT-301 - Wing span 13.75m (45ft 2in), length 8.23m (27ft 0in), height 2.59m (8ft 6in). Wing area 25.1m2 (270sq ft). AT-502 - Wing span 15.24m (50ft in), length 9.91m (32ft 6in), height 2.99m (9ft 10in). Wing area 27.9m2 (300.0sq ft). AT-802 - Wing span 17.68m (58ft 0in) length 11.07m (36ft 4in), height 3.35m (11ft 0in). Wing area 36.3m2 (391.0sq ft). One pilot and for AT-503A and AT-802 passenger or observer. Various size chemical spray hoppers, ranging in capacity from 1210 litres (AT-301) and 1515 litres (AT-401) upwards. Over 1500 Air Tractors of all models have been built, including more than 600 AT-301s, 245 AT-401s, 200 AT-402s, 400 AT-502s and 50 AT-802s and AT-802As.